Just month before Katherine Mansfield died at the age of 34, she bequeathed "all manscripts, notebooks, papers and letters" to her husband, John Middleton Murry. The will also stipulated, "I should like him to publish as little as possible and tear up and burn as much as possible..."
Murry did not heed his wife's instructions. Although many people have accused him of profitin from poor Katherine's early demise, our literature is all the richer because he has published her journals. The journals are - as poetic as her poems, as engaging as her short stories, and as sharp as her criticism. They were first published in 1927, the "Definitive Edition" in 1954. 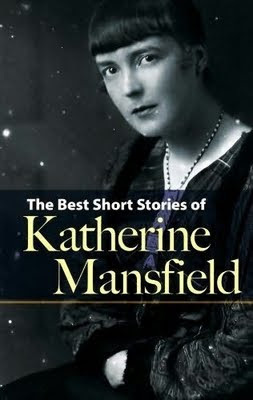 Born in New Zealand, Katherine Mansfield was educated in England, and after a brief sojourn in New Zealand during her young adulthood, she returned to Europe, never to see her homeland again. She had dramatic love affairs (before and during her marriage to Murry), and spent the rest of her life travelling between England and the Continent in search of health. No matter whether she is describing Maori fishermen, her longing for a baby (which remained unfulfilled), D.H. and Frieda Lawrence, the "full, transparent, glittering" moon, coughing up blood, or her imminent death from tuberculosis, Mansfield's journals exude a passion and intensity that are unparalleled, as well as a strong visual sense and joy in the commonplace. 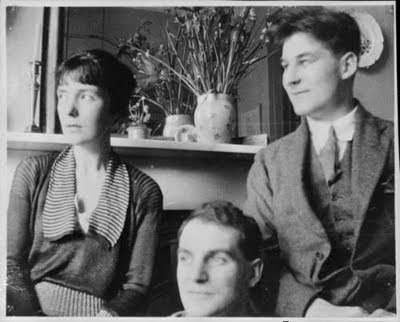 Katherine was also a prolific correspondent, to people such as Virginia Woolf, Lady Ottoline Morrell, Dorothy Brett, and especially J.M.Murry. These letters are also worth reading to see another side - or sides - of this fascinating writer. The Penguin Modern Classics edition of The Letters and Journals of Katherine Mansfield (A Selection) edited by C.K.Stead is highly recommended. What type of reader you are?